Greetings - SWCC SHOWA HOLDINGS CO., LTD.
We would like to express our sincere gratitude for the continued support and cooperation to our shareholders. 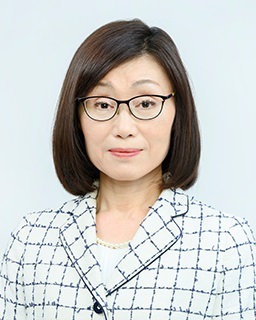 My name is Takayo Hasegawa (Ms.). I have been appointed as President and CEO of SWCC SHOWA HOLDINGS CO., LTD.
As part of the re-structuring of the Company, we have carried out various measures to rationalize the management including consolidation of the subsidiaries, streamline of the administrative functions and relocation of the head office under the previous Mid - Term Business Plan 2016 to 2018. Simultaneously we have concentrated our resources to strengthen the development and sales promotion for the fields of automobiles, railways, roads, disaster prevention and mitigation and healthcare. As a result of these efforts, we recorded consolidated operating profit of 6,276 million Japanese yen (i.e., 48.2% increase for the previous financial year) on the net sales of 168,186 million Japanese yen (i.e., 8.3% increase for the previous financial year). In achievement of the Mid – Term Business Plan 2016 to 2018 earlier than planned, we have announced on 11th May 2018 SWCC VISION 2026 which portrays the ideal configuration that we desire to achieve by 2016, as well as Change SWCC 20222, the new Mid – Term Business Plan for 2019 to 2022 including new corporate social responsibility (CSR) policy. It is clearly stated that we will change in response to the market environment and thus maximize the corporate value in order for all shareholders and all other stakeholders to appraise its ability of the Company. For that purpose, we will also undertake the various measures to become the Company capable of truly contributing to the sustainable development of the society. Firstly, we will continue to carry out further re-structuring of the Company encountering the consolidation and re-organization of sales, production, logistics and stock yard, re-organization of Group Companies, enhancing the collaboration with other companies. At manufacturing sites, we will endeavor to further improve the production efficiency by combining the SPS (Showa Production System) activities cultivated in long term with IOT technologies. Simultaneously, we will promote the work style innovation so that all employees can demonstrate their potential abilities and derive the satisfaction from the work. We have established the Corporate New Business Development Department that directly report to the President which will focus on the creation of the new business in the fields of electric vehicles, automotive components, factory automation and healthcare. The new department will actively invest in development of the new technologies activating the basic technologies of SHOWA. Thus we will endeavor to increase the operating profit on sales accelerating the product development through open innovation and collaboration with other companies. Furthermore, we will actively and efficiently collaborate with Chinese business partner Futong Group Co., Ltd. to meet the growing demand for high-quality copper materials, coils and other components in the market in China that is being spurred by the ongoing rapid shift to electric vehicles. Then we will endeavor to increase its value of the overseas business activities. Moreover we have started the wire harness production in Vietnam to meet the increasing demand in Southeast Asian Countries, particularly from Japanese Electric manufacturers. We will quickly transfer the technologies for wire harness manufacturing to the new factory in Vietnam so as to contribute to increase the sales and profit. The world economy still remains unclear in view of the trade conflicts between USA and CHINA and/or EU, geographical risk in East Asia. The domestic market in Japan also remain concern about the prospects for the Japanese economy after the coming increase in the consumption tax and the Tokyo Olympics and Paralympics in year 2020 and the possible impact from the separation of business unit of Electric Power Companies of Power Generation, Transmission and Distribution. On 26th May 2018, we have reached 82nd anniversary date since its foundation of the Company. In 82 years’ history, I have been appointed as the President of the first woman of the Company. I will commit myself to take the leadership for diversity initiative and to continue to the re-structuring measures to improve the efficiency and profitability emphasizing my challenge sprits cultivated in R & D and business development work, through the experience of communication with various customers in the world and the close communication with the stakeholders that I have learned in CSR activities. Finally, I would like to seek all shareholders to extend their continued support and cooperation.